I'll be back Monday (perhaps sooner) with fresh posts, but thanks to two very kind and creative people armed with an iPhone and a Blackberry, I have a couple of updates to share. Max Humphrey, project manager for Betsy Burnham's Instant Space, happened to be at the Philadelphia Museum of Art this week. He sent me the great ikat shot above, snapped while viewing An Enduring Motif: The Pomegranate in Textiles. 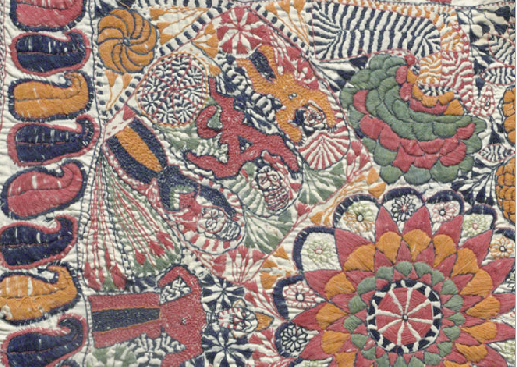 Just so you know, this show is quite small, however if you're interested in seeing an abundance of Bengal embroidery, Max also visited the other Philadelphia exhibition I've mentioned before, Kantha: The Embroidered Quilts of Bengal, and he reports that it's amazing. Kantha is on view through July 25. 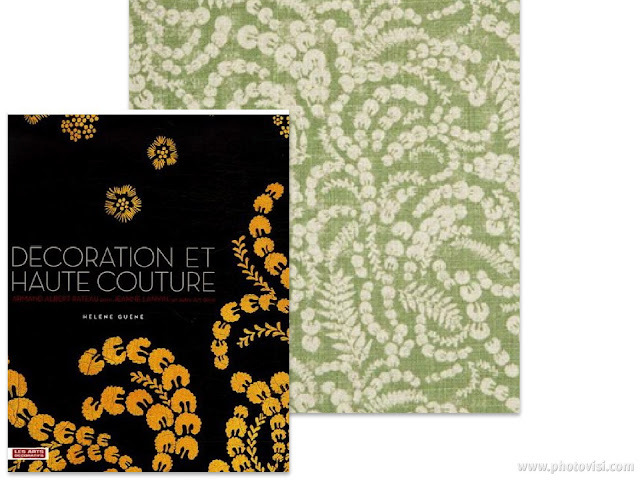 As a follow up to the Malula post, I also wanted to quickly share the cover of Helen Guéné's lavish book, Décoration et haute couture : Armand Albert Rateau pour Jeanne Lanvin, un autre Art déco. From her home-base in Paris, textile designer Lisa Fine has been generously sending me all sorts of fascinating info about the inspiration behind her fabric collection. The book highlights the 1920s collaboration between Jeanne Lanvin and Armand Albert Rateau. Doesn't the cover here really show the Malula connection? Later, when I do the Midsummer Night's Dream post, I'll delve into the book along with Lisa's affinity for super-sophisticated woodland motifs. Many thanks Max and Lisa! Style Court: so big it now has reporters at large! Love this sharing and caring about fabric. I'm lucky that Max and Lisa took time to share! They have great style. Thanks as always for stopping by. Congrats on the Lonny back page! Yes a big congrats Heather. 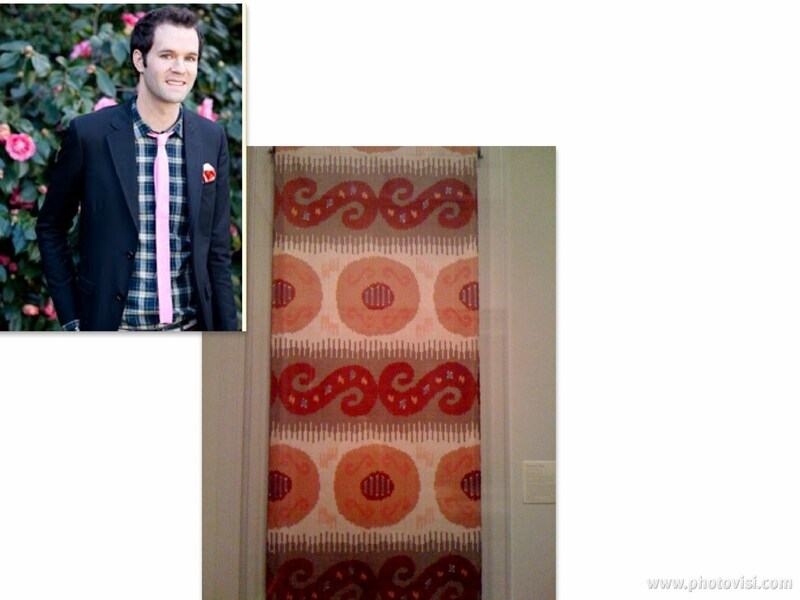 That Ikat is fabulous! !